Toyonaka Church is a modern building, completed in 1998. It replaces an older building for the same congregation and it was planned from the start that an organ should be built as soon as finances permitted. With diligent saving, this goal was realised very quickly, and now the church has a pipe organ to complement the new building. The church is quite modest, seating about 400 people at capacity, so the size of the building and the budget dictated a modest sized organ of 11 stops. However, in spite of its modest size, the organ had to be versatile. It is used for weddings as well as services and concerts, and Toyonaka has no less than four organists who play the instrument. It has proved as versatile as hoped, giving a musical rendering of the French, German and English literature both romantic and classical. As in similar small instruments, the Cremona has proved particularly useful both in its own right and as a Trumpet when used with the mixture or in a chorus. The Sesquialtera in the Swell affords a colourful mutation sound not normally expected in an instrument as small as this. The organ is situated on the rear gallery of the church, which also accommodates the choir. The case is made of ash, and the pipe shades were made to complement both the architecture of the church and its furnishings. The organ employs suspended key action and mechanical stop action and is tuned to Kellner's temperament, which we have used here for the first time. We have been encouraged with the flexibility this temperament affords. 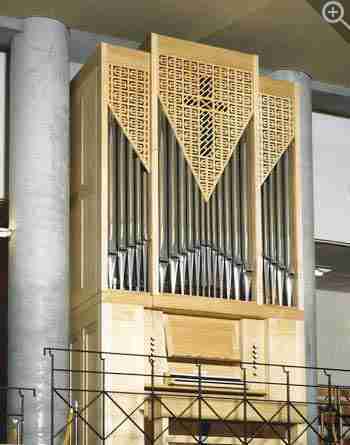 To enhance projection and effectiveness of the second manual, the Swell Organ is situated above the Great pipework. 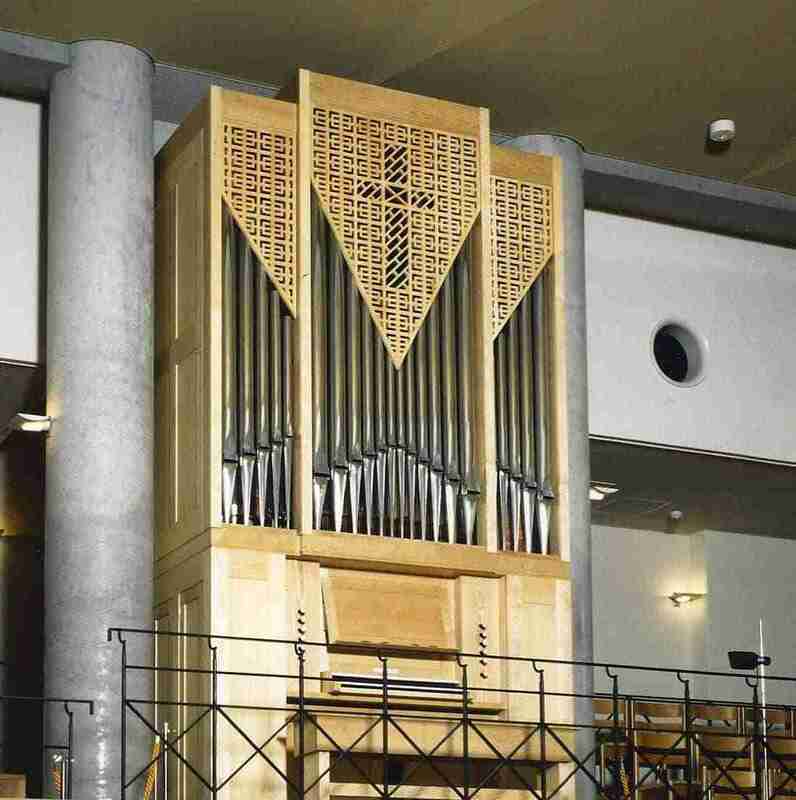 View the Specification of the organ in Toyonaka Church (completed 1999) and pipe scales.